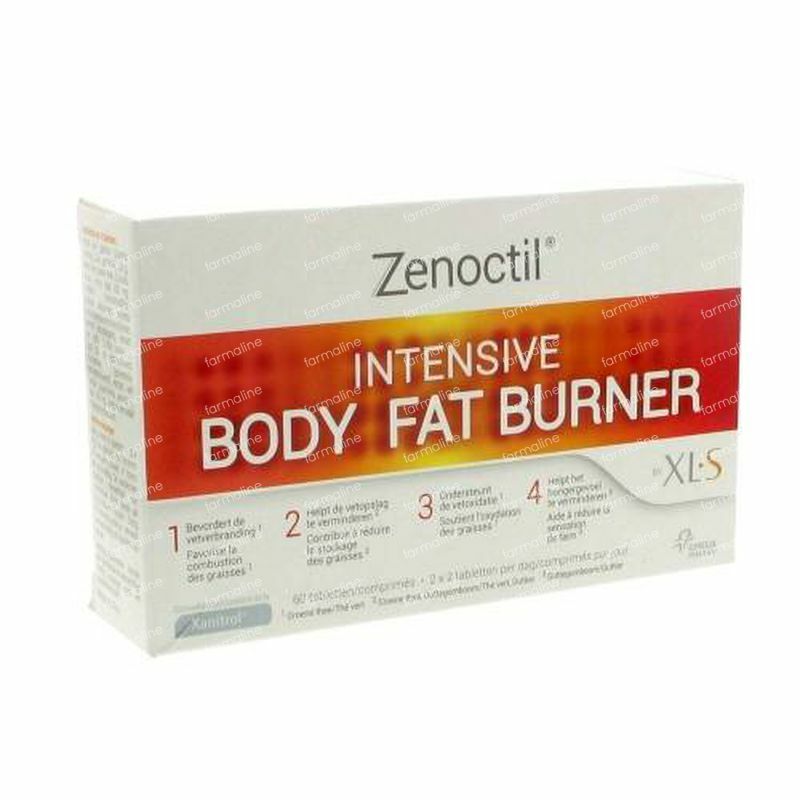 XLS Zenoctil Intensive Body Fat Burner 60 tablets order online. Zenoctil Intensive Body Fat Burner is specifically designed for persons who wish to burn the accumulated fat in their body to promote balanced and sustainable weight loss. 1. Promote fat burning. Green tea helps in the burning of fats. 2. Reducing the accumulation of fats. Due to their influence on the lipid metabolism of green tea and Garcinia cambogia help in reducing the fat storage. 3. Supporting fat oxidation. Green tea supports the breakdown of fats into smaller molecules, and thus the conversion into energy. Swallow 2 x 2 tablets per day with a glass of water 30 minutes before each main meal. Don't take more than 4 tablets a day. Garcinia extract (GarciniaCambogiaL.Desr.,Gum)2.6g,green tea extract(CamelliasinensisL.Kuntze, leaf)400mg, fillers(microcrystallinecellulose,cellulose gel,cross-linkedsodium carboxymethylcellulose,cross-linkedcellulose),extractofcoffee(CoffeaarabicaL., seed)300mg,modified corn starch(partlypregelatinised),extractofBanaba(LagerstroemiaspeciosaL., leaf)100mganti-caking agent(magnesium stearate).